Primary principles: quality and convenience Principi fondamentali: qualità e convenienza. Dishes become more appetizing if our broths are used. Thanks to the specific recipes They are optimal for the preparation of an excellent broth, but also for seasoning every kind of dish. Paste products: tastes available are beef, vegetable, chicken, fish and mushrooms, all of high quality and well-balanced. In addition, We developed a wide range of products that take care of who have intolerance in monosodium glutamate (MSG E621), lactose and the most important allergens that generally compose seasonings. 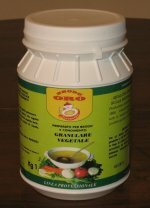 Packaging available are: plastic jar of 1kg, heat-sealed case of 2 kg and bucket of 4 kg. Granulars products: this granulars are flavourful, practical and moisture-resistant thanks to our innovative drying process. Even granulars take care of who have intolerances. Packaging available are: plastic jar of 1kg, heat-sealed case of 2 kg and bucket of 3 kg. Powdered seasoning: vegetable seasoning for every dish. Used instead of salt it enhance flavor dishes without covering its taste. Dissolved in boiling water at a dose of 22 g per liter is used to prepare a tasty fat-free vegetable broth. 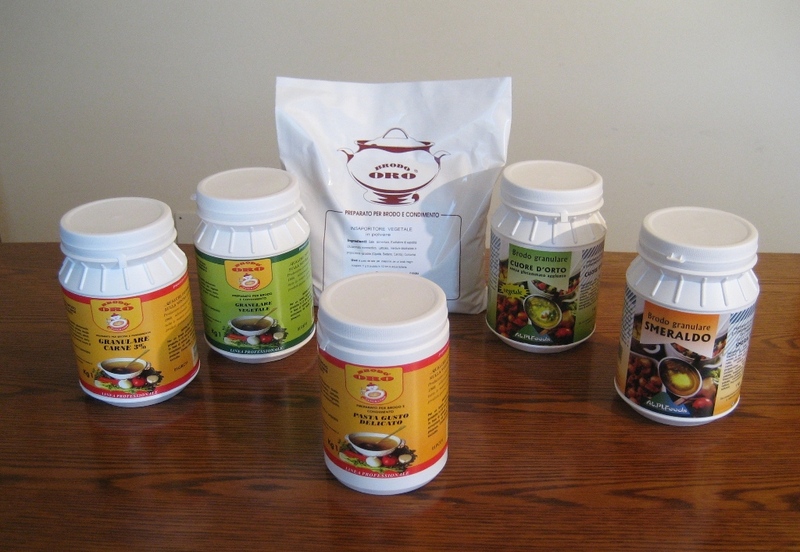 Packaging available are: plastic jar of 1kg, heat-sealed case of 2 kg and bucket of 4 kg. If you can’t find the product for your needs: Contact us! 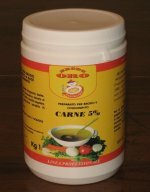 Beef, vegetable, chicken, fish and mushrooms broths, all of high quality and well-balanced. In addition, We developed a wide range of products that take care of who have intolerance in monosodium glutamate (MSG E621), lactose and the most important allergens that generally compose seasonings. We furnish this products also to important hospitals and nursing homes. Packaging available are: plastic jar of 1kg (12 kg box), heat-sealed case of 2 kg (5 cases box) and bucket of 4 kg (4 kg box). Packaging available are: plastic jar of 1kg (12 kg box), heat-sealed case of 2 kg (4 cases box) and bucket of 3 kg (3 kg box).